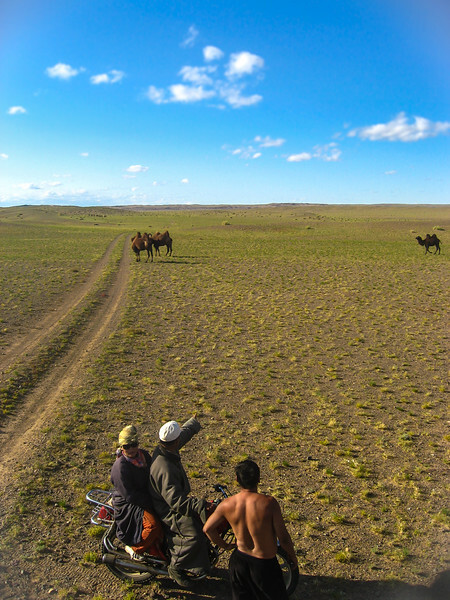 Wild bactrian camels are found in the Gobi desert, and almost nowhere else. They are also domesticated because they can adapt to the sparse vegetation and water sources of the Gobi, as well as temperatures from -40°C to +40°C. They provide milk, meat and wool.